From a backwater peripheral district, Langkawi has now become a major touristic destination, attracting visitors from all over the world thanks to its pristine tropical beaches and natural attractions. In 2008 the archipelago was renamed to 'Langkawi Permata Kedah', which literally means 'Langkawi, the jewel of Kedah' – an appropriate name, given that Langkawi truly is a jewel, a tropical paradise that begs to be explored. Opening hours: Most shops are open from 10.00 to 19.00, but some have longer opening hours like 08.00-22.00. Malaysia is a Muslim country, which means that shops generally close on Friday, but some (Chinese or Indian) may still be open. Langkawi has much to offer to all kinds of travellers, but it's well worth a visit mostly for its natural attractions: from tropical beaches like Pantai Cenang to nature reserves such as the Kilim Karst Geoforest Park; from the breathtaking vista on top of the Sky Bridge to the fun and unique experience of the Pulau Payar Marine Park. 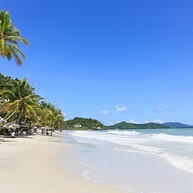 From the busy and lively Pantai Cenang on the western shore to the more secluded Tanjung Rhu on the northern shore, Langkawi has a lot of beautiful, white sandy beaches, where you can relax and sun bathe or take part in the many activities and water sports offered by the seaside. Suspended above the spectacular Langkawi rainforest, the Langkawi Sky Bridge offers its visitors a breathtaking view over the Mat Chinchang mountain range and the Telaga Tujuh waterfalls. This curved pedestrian bridge is over 125 metres long and has two platforms to enjoy the panorama. 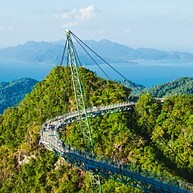 The bridge is only accessible via the Langkawi Sky Cab and can accommodate up to 250 people at the same time. The Langkawi Sky Cab is a great way to explore the nature and wildlife of the island. 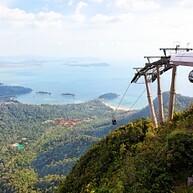 Located within the Oriental Village in northwestern Langkawi, this cable car will take you to the top of Gunung Mat Chinchang, where the Sky Bridge is found. It is composed of three stations, Base, Middle and Top station for a total length of 2.2 km. Alongside the standard gondolas, it is possible (at an extra charge) to get a luxurious VIP gondola or a glass-bottom one, with a spectacular view unfolding right beneath your feet. 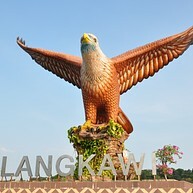 Eagle Square (Dataran Lang) is located in Kuah, the major city of the archipelago. Its most important feature is the giant statue of an eagle (hence the name Eagle Square). It is said in local folklore that the name of the archipelago comes from the Malay words 'helang' (shortened to 'lang'), meaning 'eagle' and 'kawi', meaning reddish-brown. This aquarium is located in Pantai Cenang, and is a great way to have fun and enjoy oneself when you are tired of the beach. The Underwater World Langkawi offers its visitors a wide variety of marine species, housed in several tanks with different ecosystems, ranging from tropical to temperate to sub-antarctic, with even tunnel-tanks for a unique view of sea life and its many wonders. With its 881 metres above sea level, Gunung Raya is the highest mountain in Langkawi. At its top sits a resort (the D'Coconut Hill Resort), as well as a viewing tower, from which a spectacular view over the island unfolds. Located in Pulau Payar and the three surrounding islands, 30 km south of Pulau Langkawi, this marine park is a heaven for those who love snorkelling, because of its uncontaminated waters and abundant sea life. Of particular interest is the Coral Garden, a section of the park characterised by beautiful and colourful coral formations. 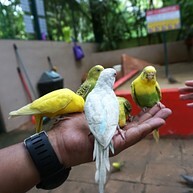 The Park can only be visited as part of a tour, which can be booked in Langkawi. The boat trip takes around 45 minutes. With an area of 5.5 acres, this park houses over 150 different species from all over the world, from macaws to crocodiles to peacocks and raccoons. The park can be explored through covered walkways, which makes it enjoyable even during heavy rainfall, and children can have fun and feed the animals during the feeding sessions. A beautiful waterfall, the highest in Langkawi. Surrounded by the forest on the slopes of Gunung Mat Chinchang, it's a good spot for a picnic, but beware of monkeys, as they can get aggressive if you disturb them. 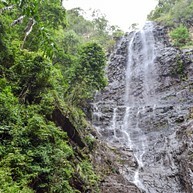 It is recommended to visit during rainy season, as the waterfall is reduced to a trickle throughout the dry months. 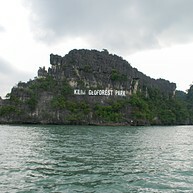 The Kilim Karst Geoforest Park is the biggest of the three geoforest parks in Langkawi. Its main features are the mangrove forests and the karstic caves spread throughout the coastline. 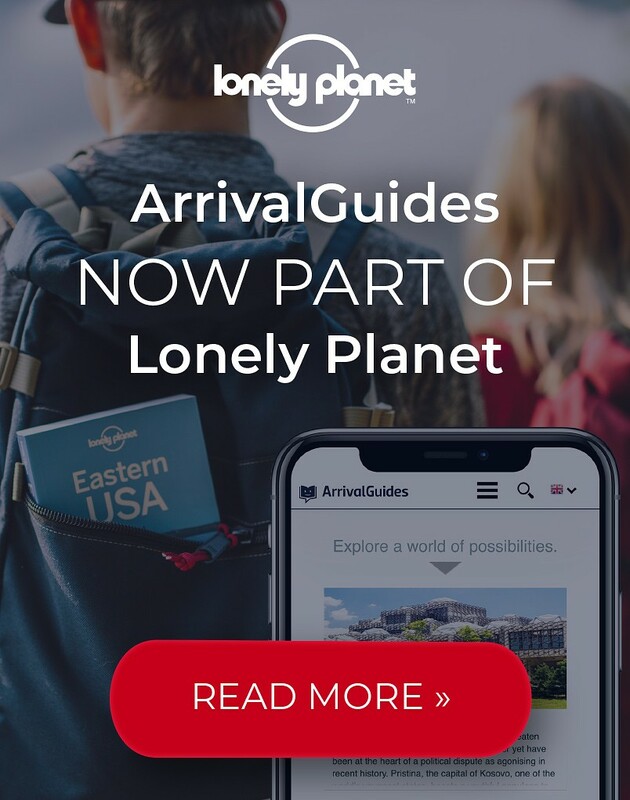 Take a boat or a kayak and explore the Kilim River, find fossils in Fossil Island or take a look at the 500 million year old limestone cliffs that make this park so unique.